Because you can never grow just a little zucchini! This aromatic quick-bread is addictive. 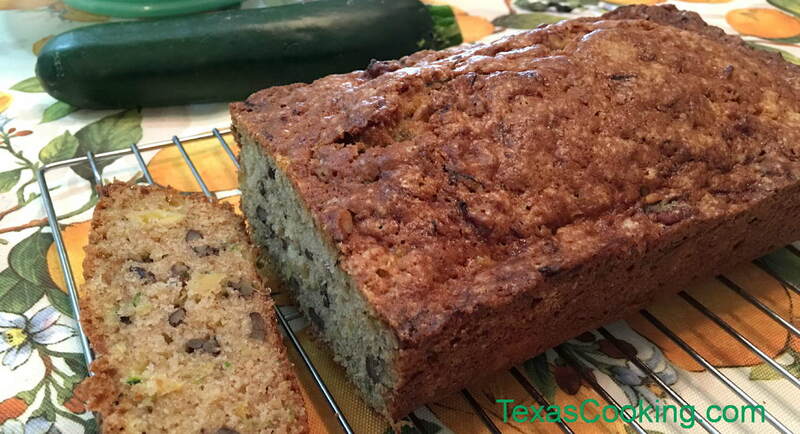 I prefer using zucchini, but you can substitute carrot to make carrot nut bread. lightly grease two 4-1/2x8-1/2-inch loaf pans. Combine the flour, salt, baking powder, soda, sugar and cinnamon. Divide batter between the two prepared loaf pans. Bake for 1 hour and 10 minutes, or until a wooden pick or cake tester inserted in center of loaf comes out clean. Cool in pans for 10 minutes, then remove and finish cooling on wire racks. Note: Carrot Nut Bread: To make carrot nut bread, substitute 2 cups of grated carrots for the shredded zucchini.